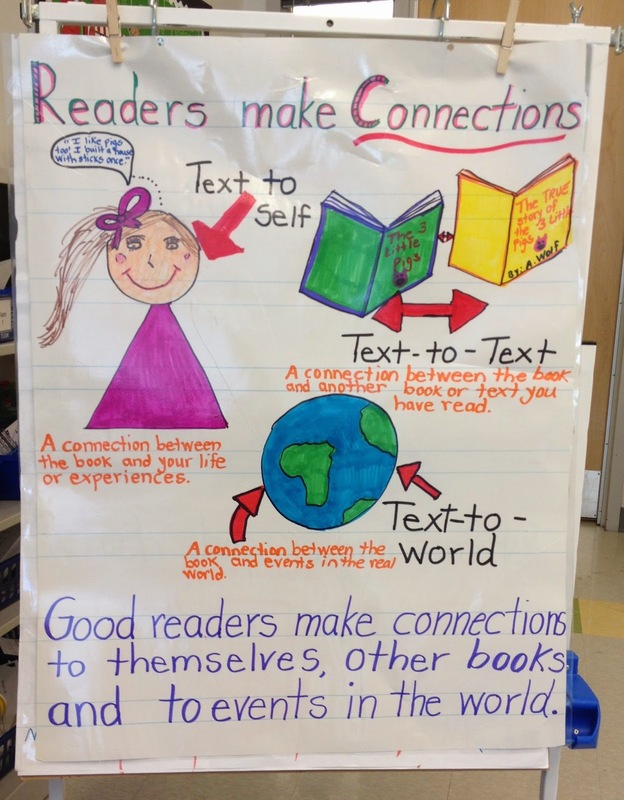 We revisited our "Readers Make Connections" anchor chart this week. What connections can you make to this book? I loved the myriad of responses such as "Sometimes I feel grouchy" and "Sometimes my brother picks on me and I think he acts like the grouchy ladybug." One boy then chimed in with "I want to act like the whale when someone picks on me but then I know I'd get in trouble." Wow! Of course I got some responses that were connections but not exactly the connections that reflect a deeper connection to the story such as "I like ladybugs" or "I saw a hyena once." This is exactly why we do these type of lessons and why I find them valuable to do as a whole group lesson. The students that can make a deeper connection to the story can model these skills to those who still find this a challenge. What great teachable moments! I was expecting some students to make connections to other Eric Carle texts as his illustrations are so unique so I wasn't surprised when this connection was made by some. I was pleasantly surprised that some made a text connection to the story The Three Little Pigs. One student said "This story is like The Three Little Pigs because the grouchy ladybug was like the wolf. He was picking on other animals and then he learned his lesson. This naturally led into a brief, but meaningful conversation about the author's purpose. Perhaps the most intriguing response by my students was their text to world connection. One student made the connection that if everyone in the world stopped being grouchy, maybe there wouldn't be wars. This prompted a few students to go back and think of some other texts about characters we have encountered in texts who have engaged in some type of conflict. The Butter Battle Book by Dr. Seuss was mentioned. 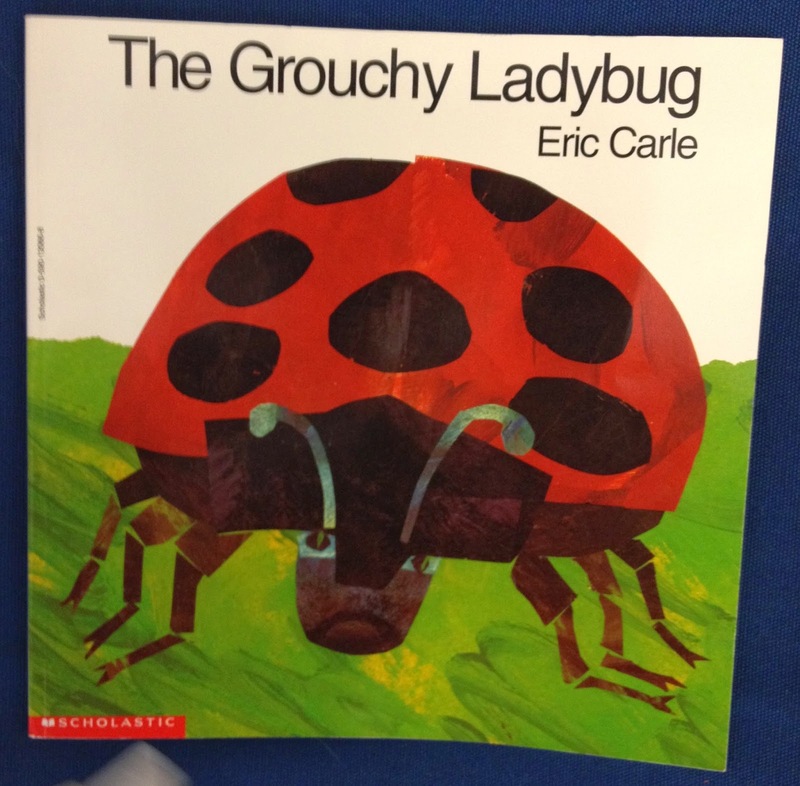 My favorite connection was the child who shared that The Grouchy Ladybug could be like Alexander and the Terrible, Horrible, No Good, Very Bad Day by Judith Viorst. As this student suggested, maybe the grouchy ladybug doesn't want to fight all time. Maybe he was just having a bad day. Wow! I am so impressed! We have worked really hard on reading comprehension and making connections to the text. I truly feel that if students can make a connection to what they read, they are more invested and if they are more invested, they will want to read more. I can't wait to do more of these types of lessons and learn even more about my students and all that they are capable of!